Rock The Body Electric: Dylan Cover #242 DeFacto "One More Cup Of Coffee"
In this ongoing Monday Series we will be exploring various artists versions of Bob Dylan song's. 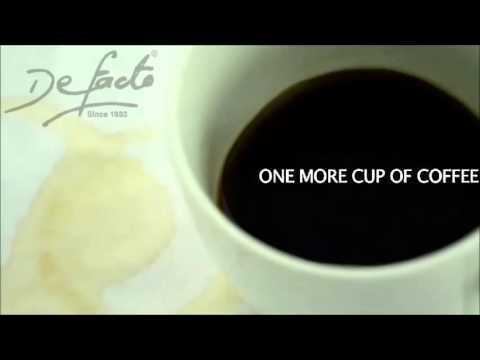 Today's tune is a cover from Defacto and it is a version of "One More Cup Of Coffee"
Not much is known about De Facto, his (?) facebook page is no longer active and there are just a few videos on his youtube page. A slow fine cover of the track, a bit sleepy for a song about the java but a fine way to start a hot Monday.